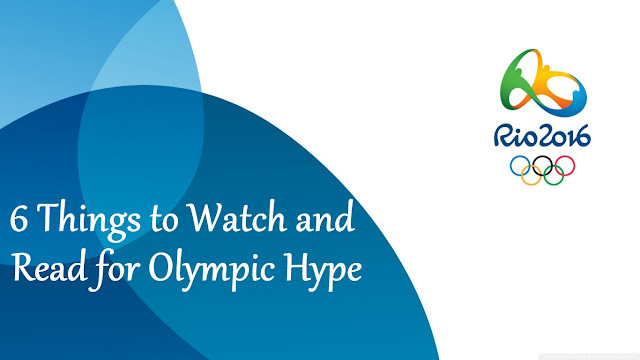 Every two years, we’re treated to the epic talent and competition that comprise the Olympics, and I’m a huge fan. I love the summer and winter games alike and follow a few sports from each pretty closely. Whether it’s this seemingly magical flipping from the gymnasts, this incredible artistry from ice dancing and ice skating, or this superhuman speed in the pool, we can all agree that the Olympics showcase truly admirable skill that’s worth noticing. So, I’ve been enjoying the Rio games over the past week or so, and the athletes are wildly impressive as usual, and it’s also offered a nice reprieve in a way. It’s fun to see the Olympics all over the news for a little while instead of violence, terrorism, and politics, and they also get me hyped in a good way. Since the games are concluding soon, I started thinking about inspirational sports stories that would fit well with the Olympic time of year and make the hype last a little longer! These are some of my favorites here as well as a few that are on my to-do list. Let me know what you think! Who doesn’t love Sandra Bullock as Leigh Anne Tuohy, I wanna know? She truly shines as this well-known, successful mom and designer who took in Michael Oher, a young man who was born in the Memphis projects and spent most of his childhood in foster care. Leigh Anne and her husband Sean adopted Michael during his late teens and encouraged his unique gifting in football, eventually seeing him play in college and professionally. A masterfully told account of Jackie Robinson, the first African American man to play professional baseball. Harrison Ford turns in a particularly quality performance as Jackie’s team manager. The film is thoughtful, honest, emotional, humorous, and addresses difficult content with excellence. One of my favorite movies, and probably my all-time favorite inspirational sports film. James J. Braddock was a successful professional boxer in the 1920s, but a hand injury and the Great Depression threatened his career, as the movie so poignantly tells. As the film unfolds, uncertainty and poverty become new normals for James and his wife Mae and their three children. But the Braddocks cling to perseverance and family unity even when the odds are sharply against them. Yes, this is a story about a man who made a remarkable comeback and left a mark on professional boxing, but it’s also a film about hardship, courage, and how family love can sustain the human spirit through incredible difficulty. Russell Crowe and Renée Zellweger are true joys to watch as James and Mae. This is a book I’ve mentioned before (it made my list of good book club picks!) and will likely keep mentioning, as I now consider it one of my favorite books ever. A riveting account of the nine-man American rowing team at the 1936 Berlin Olympics, The Boys in the Boat is a true underdog story with spirit and suspense. The nine boys on the team were from the University of Washington in Seattle and entered the Olympics with many factors against them, not to mention that these particular Olympics were staged for Nazi propaganda. You will cry and cheer from your reading spot as you see the courage and incredible teamwork on display through these guys. One of my current reads and I’m loving it! Most of us know Eric Liddell from the film Chariots of Fire – he was a remarkably fast runner known as the “Flying Scotsman,” and he shocked the world when he withdrew from his best event in the 1924 Olympics because it interfered with Sunday worship. He further stunned audiences when he won gold in an event in which he had considerably less skill. But what the movie lacks this book brings to light – after his Olympic success, Liddell bypassed opportunities for fame and money and served as a missionary in China for the rest of his life. Even in his final years in a Japanese internment camp, he was known for his kindness, prayerful attitude, and sacrificial service to those around him. I’m looking forward to better “knowing” this Eric Liddell through the pages of this book. On my to-read list! This one came out just this month to tie in with the Rio games; current Olympic diver David Boudia shares his personal testimony in it. This is his third time to represent the USA at the Olympics, and what I’ve read of his story so far is equally encouraging and challenging. He shares in detail in this book how he used to dive for fame, human praise, and pride in himself. But he came to know Jesus after the 2008 Beijing games, and that has radically transformed his motivation and focus in diving. I can’t wait to read his story in full. Check out this interview for a taste, and watch David and his teammate Steele Johnson in the individual diving events tonight, tomorrow, and Saturday during NBC’s prime time! What are your favorite inspirational sports stories? Have you been enjoying the Rio Olympics? What have been your favorite parts to watch? I'd love to hear in comments!